Joanna is the General Counsel for SunStreet and Lennar Ventures. She oversees all legal affairs for the organization including risk mitigation, builder and consumer contracts, regulatory and government compliance, and intellectual property. Joanna joined the company in 2012 after more than a decade with the legal firm Bilzin Sumberg where she was a Partner in the Corporate Department specializing in Mergers and Acquisitions. 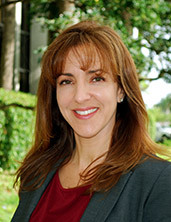 Previously, Joanna practiced with Greenberg Traurig. In total, she has more than 20 years of corporate law experience. Joanna is based in Miami and is a graduate of Columbia Law School and University of Florida.